Nashville serves as a musical hub, truly earning its nickname of "Music City." Locals know that there's more to this capital city than just popular songs and beautiful melodies. Nashville is home to plenty of shopping, restaurants, sprawling green spaces, and a diverse array of neighborhoods that make it easy for prospective residents to find an area to call home. Additionally, the city boasts a vibrant sports scene, diverse cultural amenities, and several universities and colleges. Like anywhere else in the country, flooring and carpeting is big business in Nashville. Flooring completes the look of any room and home. From handsome hardwoods to soft carpets, Nashville's local flooring and carpeting businesses specialize in helping their clients select the right materials in addition to installing the floor coverings. For best results, homeowners should choose a licensed and insured company. The Gulch— Trendy and hip, The Gulch neighborhood is packed with restaurants, bars, and shops. This walkable neighborhood appeals to young adults and singles interested in living close to the city's action. Because the Gulch only has high-rise apartments and condominiums, most families choose to live in other areas of the city. East Nashville — Budget Travel Magazine compares East Nashville with New York City's famed East Village. This diverse neighborhood is home to many artists and musicians, and it offers a friendly community that's hard to beat. The neighborhood's mix of single-family homes, duplexes, townhouses, and apartments makes it well suited for young adults and families. Germantown— Germantown is one of the city's smaller neighborhoods, but it's also one of the oldest. Its eclectic sampling of famed restaurants and charming boutiques is a favorite among many of its residents. Single-family homes, low-rise apartments, and townhomes give residents plenty of housing options. Having an idea about how much projects typically cost can help make it easier to budget for the work. Although the type of flooring and size of the job can influence the ultimate price tag, the following table offers a reasonable idea of what to expect. Many flooring services in Nashville have prices higher than the national average, and this is due in part to the booming real estate market that has arisen as residents move back into the city from surrounding, more suburban counties. Nashville requires typical flooring companies to obtain a business license from the Davidson County Clerk in addition to reporting all gross receipts to the Tennessee Department of Revenue every year. Looking at the cost of new floor coverings as an investment helps homeowners consider the cost of the materials and installation in light of how much those factors can increase the value or appeal of the home. Nashville can be a particularly humid city in the summer, with percentages averaging around 85 during most July and August mornings. In this climate, hardwood and laminate floors are easier to maintain, making them a desirable feature and elevating home values above those with carpeting. Flooring is a crucial component to any home. It brings the architectural details together while adding ambiance and flair. 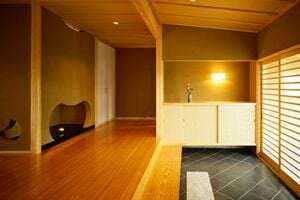 Nashville's diverse selection of flooring companies give homeowners a variety of choices, making it relatively simple to find a reputable company with skilled workers who can accomplish the project efficiently and within the set budget. Comment: I have a hallway that needs the carpet stretched. Comment: ~ 700 sq ft. 3 total rooms and a small landing at top of stairs. Thank you for your time. Do you prefer your own measuring to cut down on waste? Comment: Bedroom carpet needs restretching. I moved a dresser and it caused ripples in the carpet. Wall To Wall Floor Covering, Inc.
Nashville Flooring & Carpet Contractors are rated 4.82 out of 5 based on 578 reviews of 40 pros. Not Looking for Flooring & Carpet Contractors in Nashville, TN?